A decent choice for users in the market for a sub-20k Android tablet. 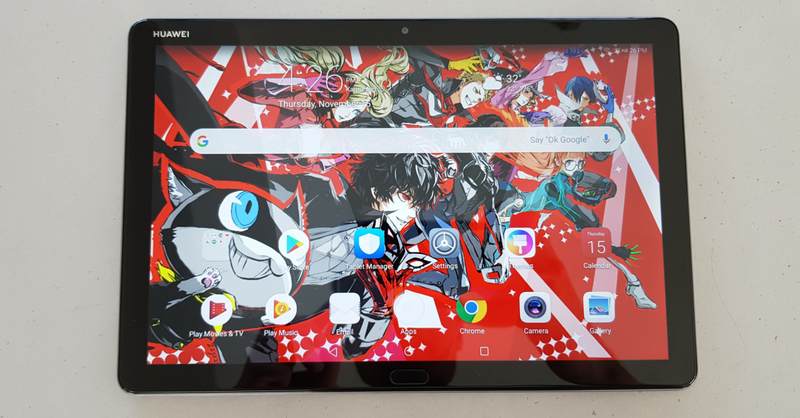 Last weekend, we published my first impressions on the MediaPad M5 Lite, Huawei’s latest Android tablet offering. From my initial time with the device, I found that it’s a promising tablet, even if there are some minor points of concern. So after almost a week of playing around some more with the device, is it another great release from Huawei? 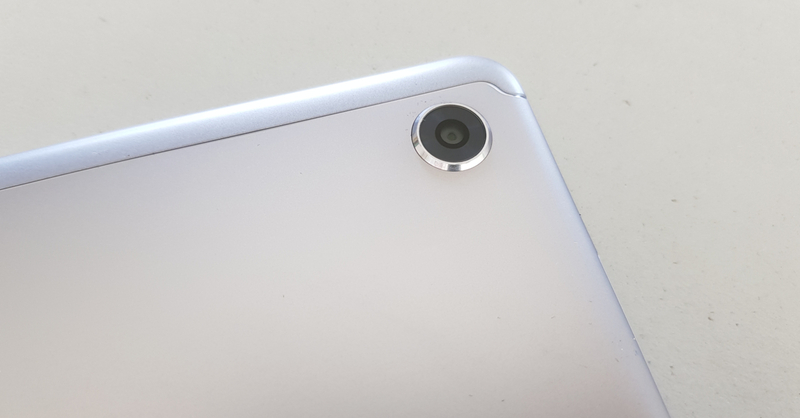 Find out here in our full review of the Huawei Mediapad M5 Lite! 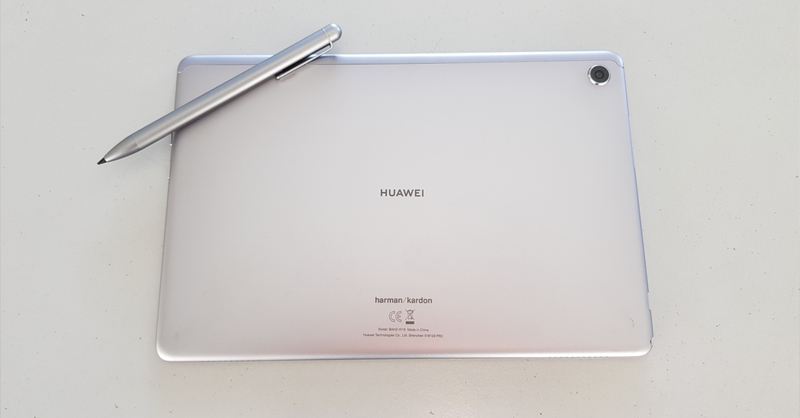 While most of Huawei’s recent releases had striking designs (such as the Nova 3 and the Mate 20 series), the MediaPad M5 Lite has a more subdued look with its metal back. 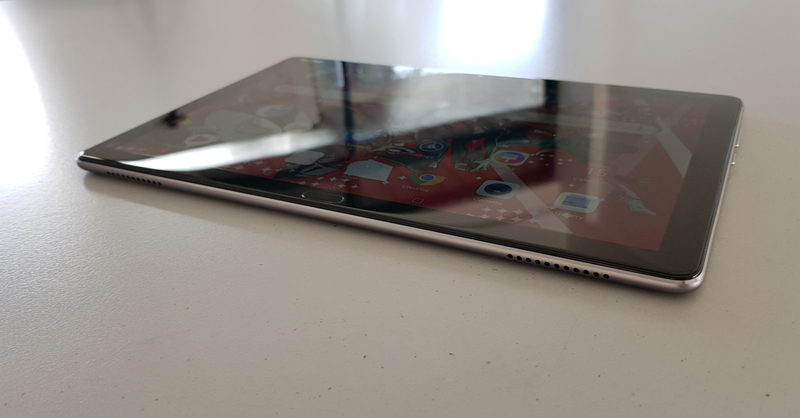 The more minimalist design and materials of the M5 Lite may not be eye-catching, but I’m a big fan of it; plus, the materials used (such as the metal back) give the tablet a great in-hand feel. As for the phone’s front, it may not have the slimmest bezels, but the borders are far from distractingly thick either. The M5 Lite is also rather light at only 1.05 lbs, making it easy to hold and use even for extended periods of time. 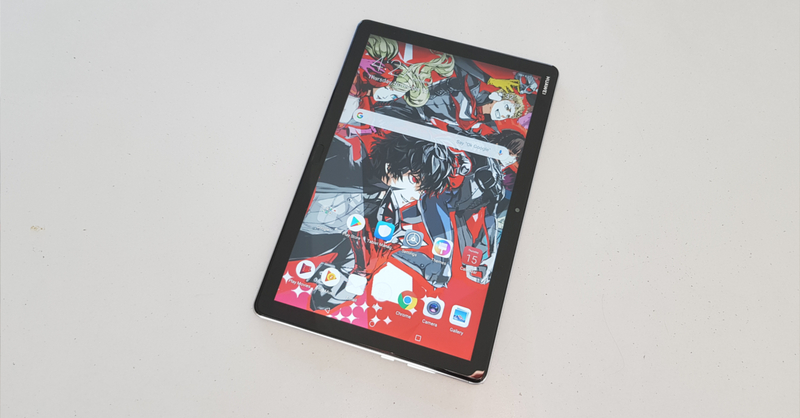 Overall, the MediaPad M5 Lite has a great design, mostly because of its great in-hand feel and lightness, making it easy to use for hours on end. Billed as an all-in-one media device, I had high hopes for the M5 Lite’s 10.1-inch 1080p display, especially for binge-watching. Though in my initial time with the device, I found the display lacking in sharpness. After more time with time with the M5 Lite, I’ll still say that the screen just isn’t as sharp as I’d like. That’s not to say it’s a bad display though, it’s still pretty good for movies/TV shows — provided that your videos are full HD of course. It’s just that the quality is a bit of a step down coming from even today’s midrange smartphones. 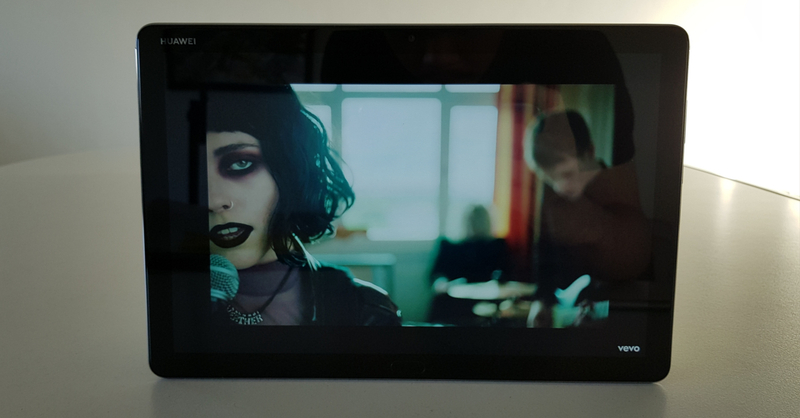 While the display is just fine, I was pleasantly surprised with the tablet’s speakers. The M5 Lite comes with a quad-speaker setup that’s tuned by Harman/Kardon, and boy does it deliver! Sure, it won’t beat external speakers, but the onboard sound quality is really good for a tablet. It gets decently loud, and the sound doesn’t get distorted much even at max volume. If you had no headphones/speakers with you, binge-watching on the M5 Lite is still a great experience! Since the M5 Lite packs last year’s midrange Kirin 659 processor, I didn’t expect much in the gaming department. When I tried playing games on it such as Final Fantaxy XV Pocket Edition and Star Wars Force Arena, I found the games playable when I put the graphics settings on Low-Medium. 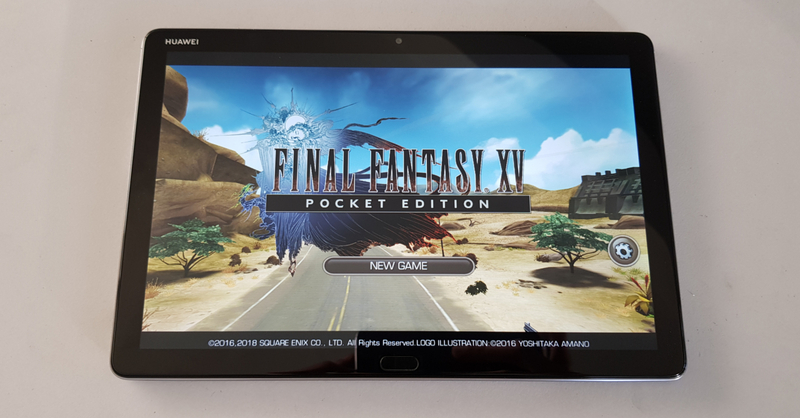 You won’t be playing hardware-intensive games on the M5 Lite if you get one; not that you’d want to really as a 10/1-inch tablet is a bit to unwieldy for gaming. 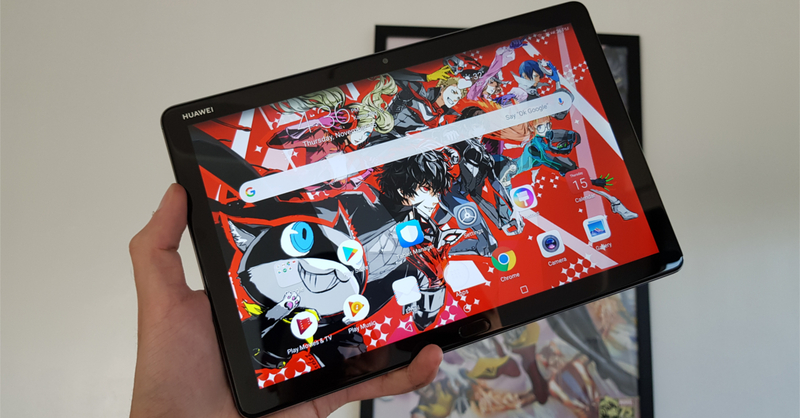 Much like in the gaming department, I didn’t expect much from the M5 Lite’s camera; tablets are after all too cumbersome to be used as dedicated mobile cameras. Now after some test shots, the M5 Lite’s 8 MP main camera and 8 MP selfie shooters met my (low) expectations. Outdoor photos taken with the main camera appear pretty good at first glance, just don’t zoom in on the photos as quality falls of a cliff if you do. While it was decent outdoors, indoors was another story; photos are often blurry and have flat colors. Selfies are surprisingly decent though, but make sure you find the camera’s sweet spot, otherwise selfies can turn out blurry as well. The M5 Lite’s Kirin 659 might be a bit underpowered for heavy gaming, but it gets the job done for general use. In my time reviewing the tablet, I never really ran into major slowdowns while using my typical day-to-day apps (i.e. Social Media apps, media players, file explorer). 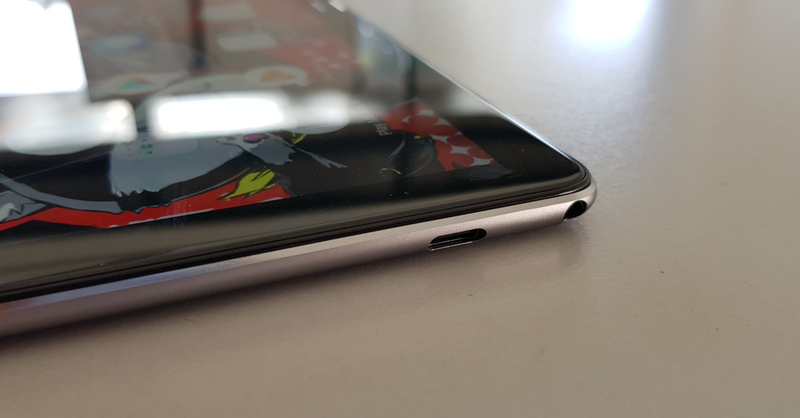 Another great thing about the M5 Lite for general use is that it has a 3.5mm headphone jack; a feature that’s increasingly being taken off smartphones and tablets. Another plus is that it has a Type-C port, meaning you won’t have to carry separate cables if you’re using a Type-C smartphone. Finally, the M5 Lite has a large 7,500mAh battery which means you can use the tablet for up to 2 days with fairly heavy use (in my time with it at least). If you don’t use the device that much, the M5 Lite can even last you a couple of day on a single charge. The best part is that it charges fast thanks to 9V/2A fast charging support; the M5 Lite charges from 0 to 100 percent in just under three hours. A+ drawing skills right there! While not included inside the box, the MediaPad M5 Lite supports Huawei’s M-Pen Lite. For artists and/or creatives, the M-Pen Lite is a nifty little device as it’ll let you draw/doodle on the M5 Lite effectively thanks to its pressure sensitivity feature. It’s not the best “pen” device though, as using it can feel like you’re drawing/writing on glass (unlike higher end devices such as Samsung’s S-Pen or the Apple Pencil). 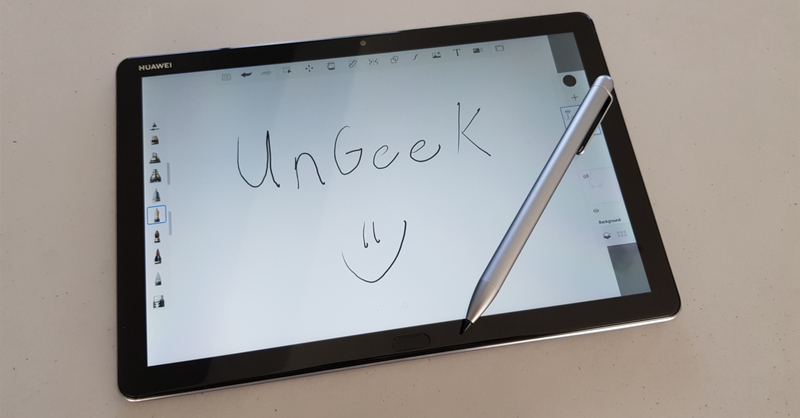 While not a perfect digital pen, it’s very convenient to use as you won’t have to connect it to the tablet via bluetooth; it just works without any syncing needed. 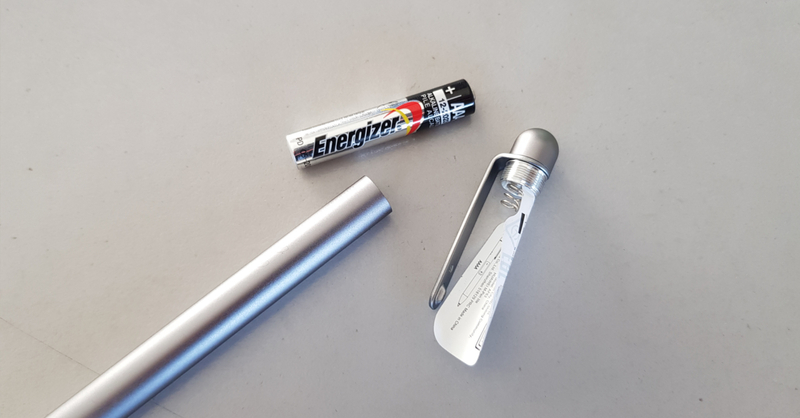 As for charging, it uses a AAAA battery that should last users quite a long time before needing replacement. Overall, the M Pen Lite is a decent addition to the M5 Lite, though it’s far from the best tablet stylus out there. 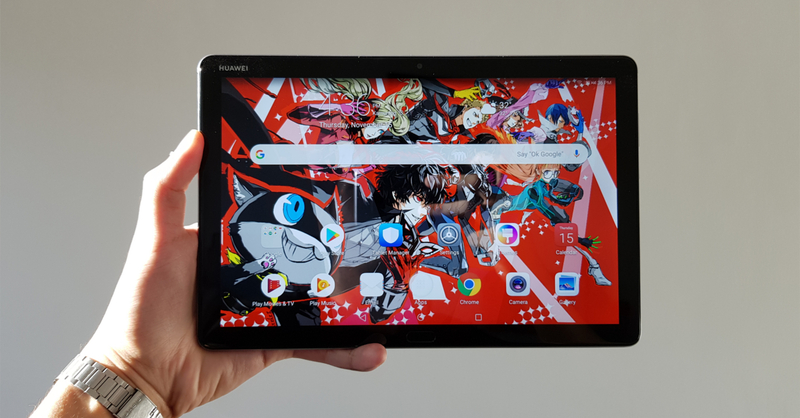 Huawei’s MediaPad M5 Lite isn’t too good for gaming nor for photography, but a 10.1-inch tablet isn’t really the device for those uses. For media consumption, the M5 Lite ticks almost all of the right boxes. It performs well enough to run the social media/media player apps, and it packs a decent display coupled with excellent onboard speakers. Plus it supports the M-Pen lite for creatives who want to doodle in their spare time. On its own it’s a great tablet, but there’s just one problem, and that’s the iPad 9.7-inch. At only PHP 2,000 more, the iPad has a sharper display, a more powerful processor (the A10), and even Apple Pencil support. As a media device, the iPad just offers a more compelling package. That’s not to say that the M5 Lite is a bad deal though, as it’s still a good buy at its pricepoint, especially if you prefer an Android device or if you have a strict budget of less than PHP 20k. ASUS’ ZenFone Max Pro M1 4GB version gets a price cut!